Snaphanen: How Democracies Die: Sweden, a case study……. – The Tundra Tabloids……. 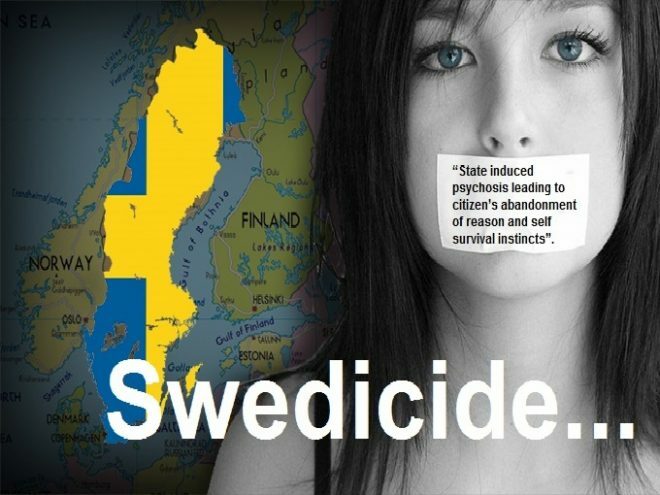 Snaphanen: How Democracies Die: Sweden, a case study……. I have repeatedly pointed out that Sweden is a pure form of democracy. You just need to look at the current government structure to understand what I mean. Professor KO Arnstberg has written a two-part essay on the death of democracy, from which I have picked some goodies. Read it all. If we take Sweden as an example, the citizens are more or less deceived by the politicians and the media to support people from other parts of the world, people who have never worked together the necessary funds. The people even risk being exchanged through the mass immigration policy. Previous Post Previous Post As US opens Warsaw conference on Iran, Tehran supporting Euro-weenies stamp their feet…….